Posted Dec. 8, 2013 by The New York Times. Loc Tran is a big man on campus at San Jose State University in Northern California. But Mr. Tran is not a star on the football team, or a leader in student government. He is a top player on the school’s competitive video game team, helping San Jose State claw its way to victory in June over California State University, Fullerton, in a tournament watched online by nearly 90,000 people. When the new school year started this fall, classmates’ heads swiveled toward him when professors said his name during roll call. “I thought that was pretty cool,” Mr. Tran said. Video game competitions, also known as e-sports, have taken off on campuses across the country, including Harvard and Florida State University. More than 10,000 students now play in the biggest college league, 4,400 more than last year and 4,600 more than the number of men who play on Division I college basketball teams. Entertainment and service go hand-in-hand for Delta Sigma Phi fraternity members, who organized this unique competition showcasing local talent in order to raise over $4,500 for Smile Train. Preparations began months ago. The event was held Nov. 1 in Morris Dailey Auditorium. Read more on the results and this year’s first place team, Attack of Piepan. Spartans Best Dance Crew, an award winning example of the philanthropic events sponsored by San Jose State’s fraternity and sororities, is back for a second year. 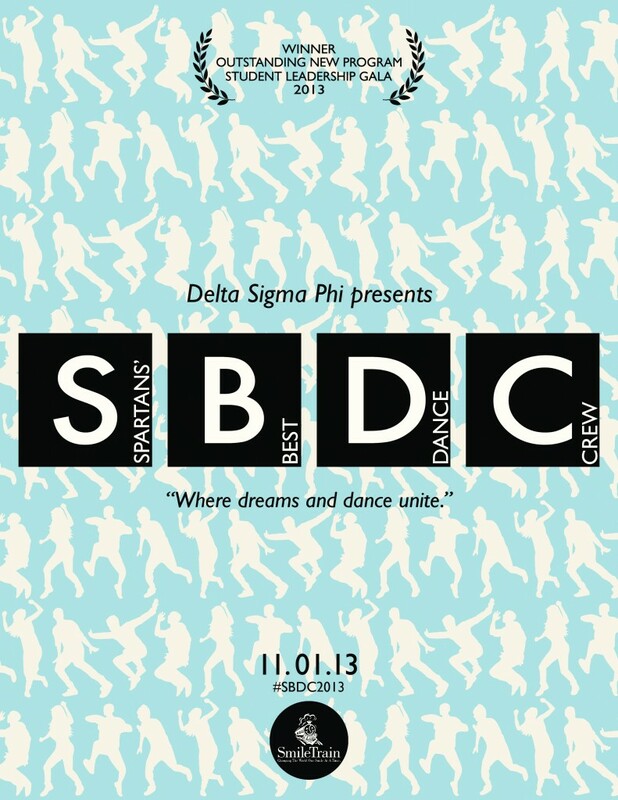 More than a dozen student crews will showcase their best dance choreography 7 p.m. Nov. 1 in Morris Dailey Auditorium. Created by students and organizations, these groups will perform their best choreography before an audience including a panel of judges. The event is organized by Delta Sigma Phi as a fundraiser for The Smile Train, which provides free cleft surgery to hundreds of thousands of poor children in developing countries, helping the children eat and speak properly. Last year, Spartans Best Dance Crew raised more than $3,000. This year, the fraternity’s goal is $5,000. Tickets are on sale now at the Event Center ($8 pre-sale, $10 at the door). “The SJSU Student Leadership Gala: Honoring Those Who Make a Difference” will begin at 5:30 p.m. May 1 in Morris Dailey Auditorium. This event is free and open to the public. The awards include outstanding organization, outstanding program, excellent collaborative programming, most creative marketing, student organization advisor of the year, student organization member of the year, the A.S. 55 Faces of the Future awards, the president’s award and (this is the big one) the Vice President for Student Affairs Award for Exemplary Leadership and Service. Event organizers include Student Involvement, Associated Students and the Solidarity Network, comprised of the MOSAIC Cross Cultural Center, Student Health Center Wellness & Health Promotion, A.S. Cesar E. Chavez Community Action Center, LGBT Resource Center, and Women’s Resource Center. 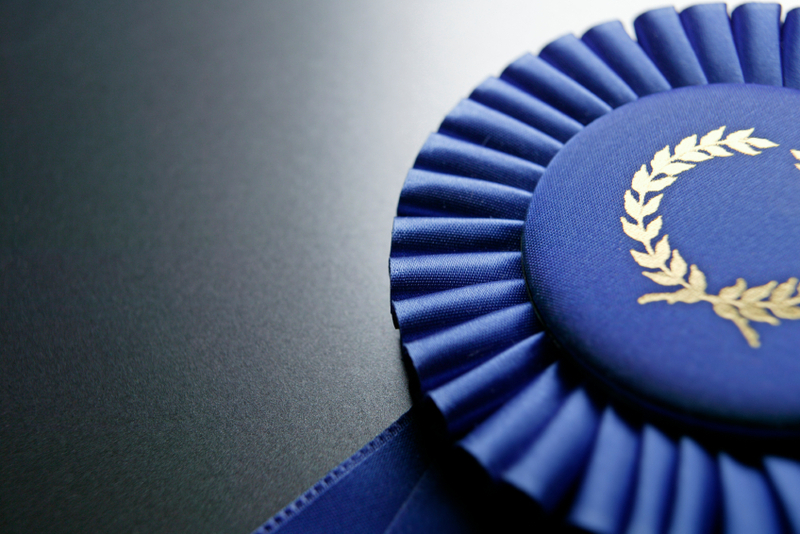 Learn more about the event and the nominees. 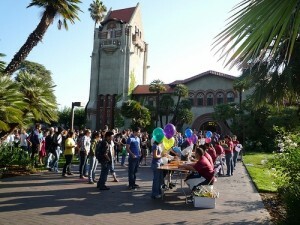 Many of SJSU’s 350 clubs kicked off the term with the Spring Student Organization Fair. Held this year under bright blue skies Feb. 6 on Tower Lawn, this can’t miss event offers organizations the opportunity to recruit new members and showcase their activities. It’s never too late to join. Check out the Student Involvement website. 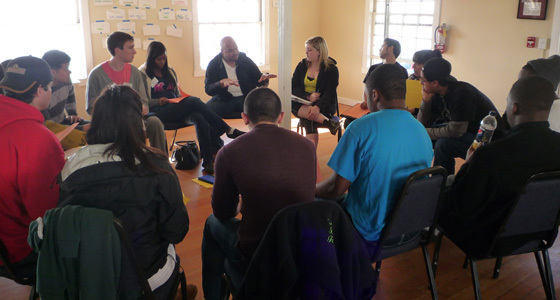 The Student Leadership Conference educates student attendees through a series of workshops to develop the tools and skills to contribute to and improve their student organizations and themselves (Student Involvement photo). If you would like to present a workshop, please fill out this interest form. Here’s more information on the conference itself. The Fall Welcome Days Kickoff is a great place for students to meet people and learn about various departments and organizations, while enjoying free food, attractions, games and live performances. New Spartans will once again be invited to participate in Fall Welcome Days, an annual series of exciting social and academic programs. The events are designed to provide all incoming students with opportunities to make connections with fellow students, staff, faculty and the surrounding community, as well as to become more familiar with campus resources and opportunities. 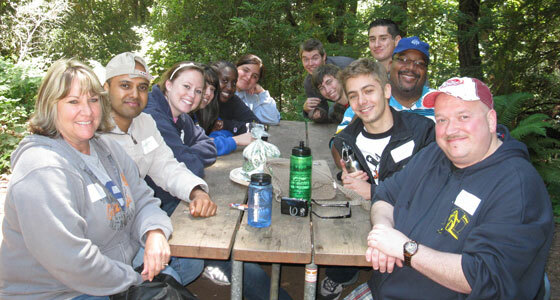 The Fall Welcome Days Kickoff begins at 3 p.m. Aug. 21 on Tower Lawn, replacing the Welcome Convocation of years past. The kickoff will be a great place for students to meet people and learn about various departments and organizations while enjoying free food, attractions, games and live performances. Among the many more Fall Welcome Days events are an On-Campus Job Fair 10 a.m.-1 p.m. Aug. 23 in the Art Quad; the Fall Student Organization Fair 11 a.m.-3 p.m. Aug. 29 on the Paseo de San Carlos; and the Spartan Squad Kickoff 6 p.m. Sept. 6 in the Campus Village Quad. 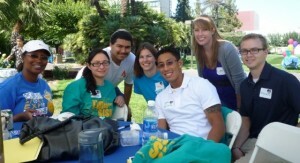 The Fall Welcome Days series is among SJSU’s Orientation and Transition Programs produced by the Office of Student Involvement within the Division of Student Affairs. Check out a full list of events. Truong Tu at the 2011 Concord Open tournament (Truong Tu image). Table tennis is hot in the South Bay, including San Jose State, where the nationally ranked Spartan Table Tennis Club is preparing for national championships April 13-15 in Plano, Texas. The National Collegiate Table Tennis Association is promising live online streaming of all the action, as the no. 4 ranked Spartans take the floor. SJSU’s co-ed team includes Truong Tu, ranked no. 8 in the nation for men’s singles. Completing the roster are Sean Lee, Sally Su, Joseph Coorey, Kyle Wong and Mitchell Ong. The Spartan Table Tennis Club is one of over 250 organizations coordinated by SJSU’s Student Involvement office. 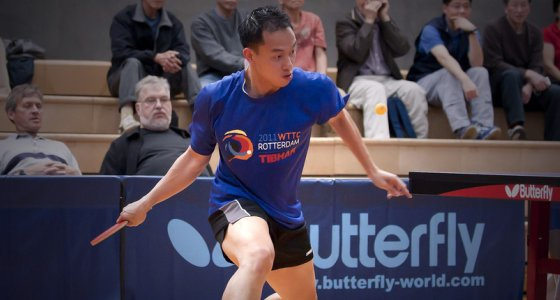 Growing up in Ho Chi Minh City, Tu started playing table tennis when he was just six years old, according to the NCTTA. 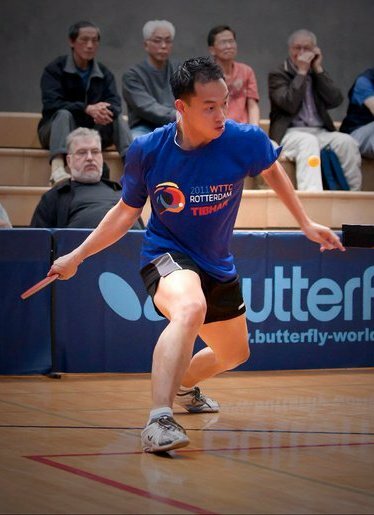 He trained intensely, and was ranked among the Top 12 Viet Juniors in 2001. Now going for an MBA, Tu joined SJSU’s team after moving to the United States for college, graduating in December 2010 with a bachelor’s in marketing. Blake Balajadia presents to students at the 2011 Fraternal Values Summit. The moment he stepped onto campus in fall 2008, Cesar Delgadillo, a fourth-year design studies major, felt a sense of pride for San Jose State University based on his freshmen orientation experience. The next year, Delgadillo applied to become a Frosh Orientation leader and was granted the position. Since acquiring this role, Delgadillo has joined a number of other campus organizations that he feels have helped him become more comfortable with himself and his leadership capabilities. 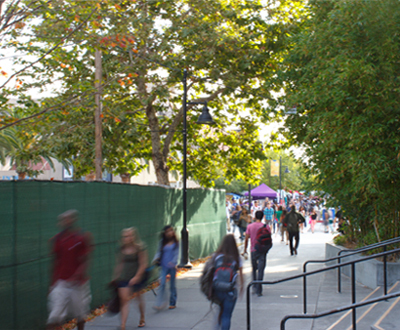 Today at SJSU, the number of students involved on campus is on the rise, creating a spike in the number of campus clubs and organizations and some impressive participation numbers. Associate Director of Student Involvement Emily Bauer says the unprecedented amount of students getting involved is creating a shift in campus culture. 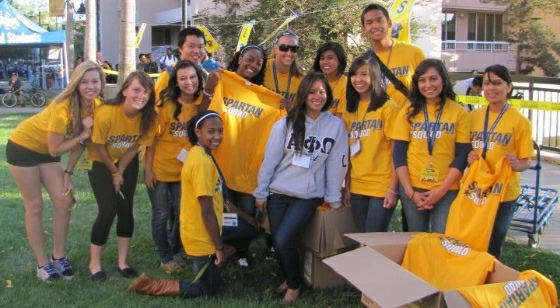 In 2006, there were 225 on-campus organizations at SJSU. Today there are 359 student organizations, and Bauer expects this number will grow to around 400 organizations by the end of the year. Students that get involved in a campus club, organization, leadership role or Greek life reap plenty of benefits, Balajadia said. Building a greater connection to SJSU propels students towards graduation and establish networks that may help them secure a job after graduation, he said. San Jose State is also making sure new Spartans connect with the university from their first day on campus. SJSU’s Frosh Orientation, a mandatory overnight program for incoming freshmen, is setting a new standard for students and is a driving force behind the increasing involvement trends. “This past summer, the Frosh Orientation program, served nearly 4,300 students and 1,600 family members,” said Director of Student Involvement Richard Kelley. Kelley said this year’s summer program had the largest class to date and received its highest evaluation and assessment scores in its 10-year history. A turning points in creating more campus pride began with increased support from former President Don Kassing. 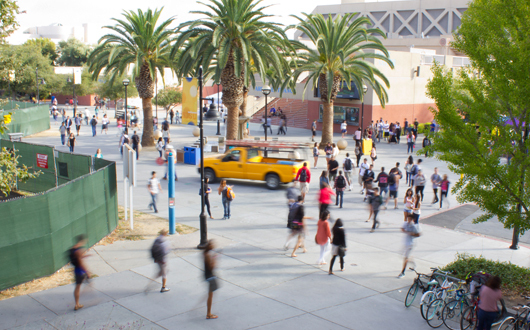 Five years later, an increase in enrollment paired with a shift in campus participation from students hungrier to get more involved has SJSU’s campus life flourishing. Students can learn more about the organizations on campus and how to get involved by visiting http://www.sjsu.edu/bored, or attending an event for an on campus club or organization. Two student groups are seeking to raise $911 for 9/11 victims. Not only will they always remember where they were on September 11, 2001, but they will also recall what they did ten years later to help those affected by the attacks. Last week, social fraternity Delta Sigma Phi joined with service fraternity Alpha Phi Omega to collect $911 during tabling events near the Event Center. The two groups plan to send all donations to the New York Police and Fire Widows’ and Children’s Benefit Fund. 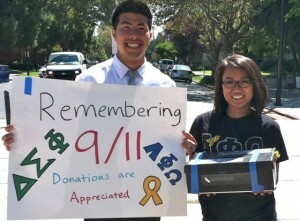 Earlier this year, Delta Sigma Phi collected $840 for the Japan earthquake and tsumani relief effort. “We want to reach out and help those affected, and help people reflect,” President Peter Do said. For more information, please email Peter Do. 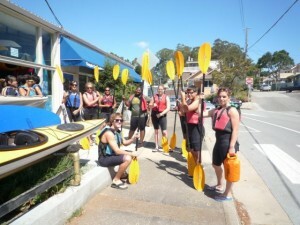 Among the many events planned for Fall Welcome Days is a kayak trip. Fall Welcome Days, held this year from August 21 through September 17, is a series of exciting social and academic programs designed to provide all incoming students with opportunities to make connections with fellow students, staff, faculty, and the surrounding community, as well as to become more familiar with campus resources and opportunities. The Fall Welcome Convocation will begin at 4 p.m. Aug 23 at the Event Center. An On-Campus Job Fair, Student Success Fair, Community Connections Fair, and Fall Student Organization Fair will be held on the San Carlos Plaza. The fall 2011 Campus Reading Program selection, The Immortal Life of Henrietta Lacks by Rebecca Skloot, will be discussed, and students, faculty and staff will have several opportunities to view Lacks’ cancerous cells, taken without her knowledge in 1951, then sold many times over for research while her family struggled to afford health insurance. Students will also have the opportunity to explore international programs, audition for SJSU choirs, hear about “All You Ever Wanted To Know About College, But Were Afraid To Ask,” and join hiking and kayaking trips off campus. View a detailed events schedule.